These tacos took my vegan blog to a popularity level I never dreamed of. I'm going to toot my own horn here and say that these tacos flippin' rule. If you don't like them, something is seriously wrong with your tongue. This dish is also another great weekday meal. It comes together in about 30 minutes from start to finish but you can make the chickpeas a few days in advance for an even quicker meal. Crunchy, crunchy heaven. 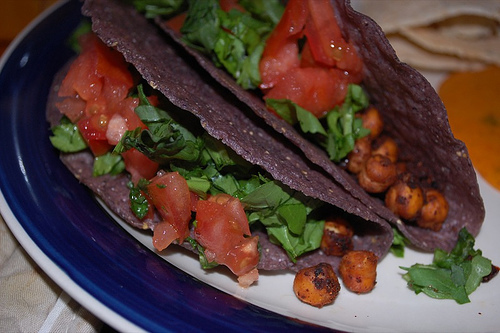 These tacos rock the chickpea! One bite and you'll be hooked! Preheat oven to 400F. Whisk tamari, juice & spices together. Add rinsed chickpeas and toss until well and evenly coated. 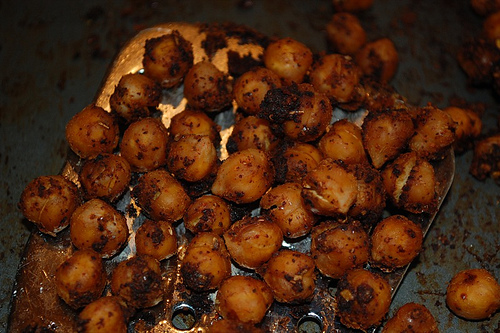 Place chickpeas on tray, spray with oil and bake 20-25 minutes, until crunchy. 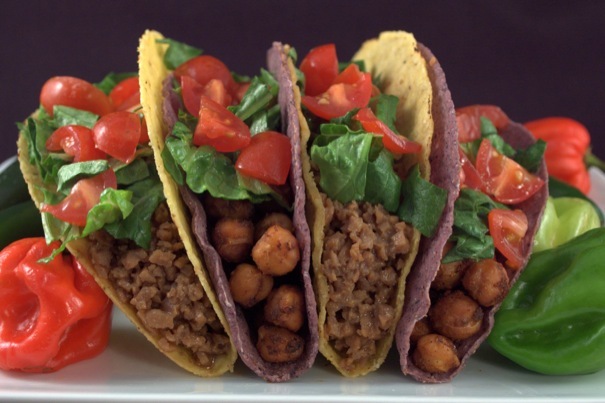 Assemble tacos with chickpeas, arugula or lettuce, tomatoes and eat. If you don't already have a taco seasoning blend on hand, try this recipe omitting red pepper flakes.